Welcome to another installment of If My Book, the Monkeybicycle feature in which authors shed light on their recently released books by comparing them to weird things. 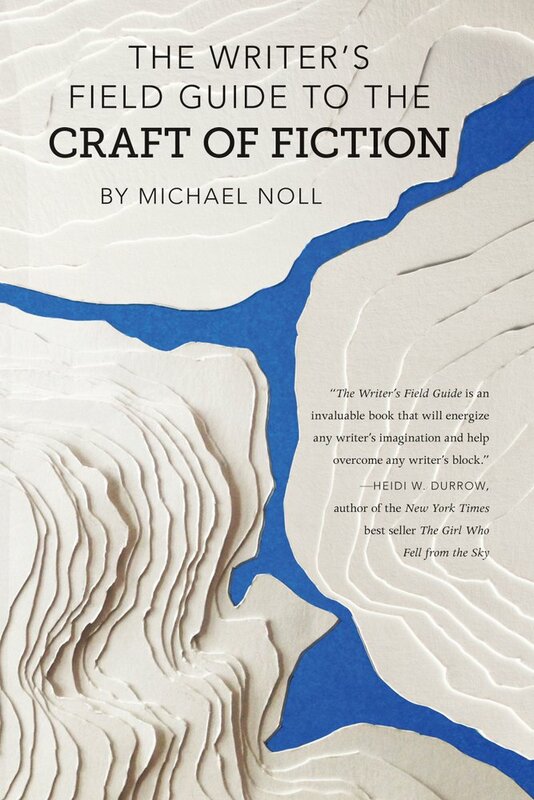 This week Michael Noll writes about The Writer’s Field Guide to the Craft of Fiction, out now from A Strange Object. If The Writer’s Field Guide to the Craft of Fiction were a movie, it would be a coming-of-age comedy titled Michael Noll Has No Idea How to Be in the World. The titular character, me, would attend the Kansas Honors Academy, a month-long camp for smart high school kids. My parents drove me from our family farm to Wichita State University, and I stood in line to check in, almost unbearable excited and listening to my father make conversation with the other kids because I was too shy to look them in the eye. One of the kids had surfer hair and a guitar, and a few days later I stood in the back of a group of admirers and shouted out, Play “Free Bird.” I was not being ironic. “God, that has, like, three guitars,” Surfer Hair said and then played “Loser” by Beck. Actually, I don’t know what he played because most of them were songs I didn’t recognize and pretended to sing along with. At home, our radios were too far away from the transmitters of the cool rock station in Lawrence and the hard-rock station in Kansas City, and so all I knew was country, classic rock, and oldies. I also didn’t know who They Might Be Giants were, but I claimed I did. One of the girls listening to them attended Bible Quiz Bowls, where instead of trivia questions, the competitors were given a Bible book, chapter, and line (John 3:16) and then asked to recite the corresponding verse. I thought she was cute. I said, “You want to hear something funny?” and then grabbed another kid’s cassette tape of Adam Sandler’s comedy tape and put it on the song, “Medium Pace.” I grinned and then grinned a little less and then a lot less as we all listened to his song about masturbation. I took a class on Plato’s Republic and didn’t get it. I got into a political argument with a kid who knew a lot more than I did and lost—but would not admit it. I did a belly flop off the high dive at the university natatorium. I had so much fun that I told my roommate, who was from Atchison (a city three times as big as the one I lived 12 miles outside of), that I couldn’t wait to tell my friends about it when school started. He said, incredulously, “You won’t see your friends until school starts?” I did not know what to say. I mean, I probably would. But I wasn’t playing baseball that summer and, um, I guess there was still the 4-H county fair and church. “Oh my god,” my roommate said. When I got back home, I realized that I’d left my favorite black jersey shorts with the Kansas City Chiefs logo on them in the dorm, and so I called the Wichita State University operator and asked if they’d found them and could they mail them to me. I took all of this to heart. Two years later, I went to college at Kansas State University and was told by people that I was a really good conversationalist. I was actually quite terrible at talking about myself but excellent at getting others to talk about themselves. I would listen and figure out what they liked to talk about and then engage them in those topics, even if I knew nothing about them. I had gotten good at learning about things on the fly. A couple years later, as an upperclassman, a freshman would call me “cool,” which was, at that time, probably the most astounding thing anyone had ever told me. Cool, being a relative term, would not apply to me once I stepped outside of Kansas State University. I would go to graduate school in Texas and attend a gathering at a bar, where I would overhear a woman I liked quite a lot tell her friend about me, “He has a lot to learn.” Also, I had a haircut like Lloyd Christmas from Dumb & Dumber. Today, that woman and I have been married for thirteen years. 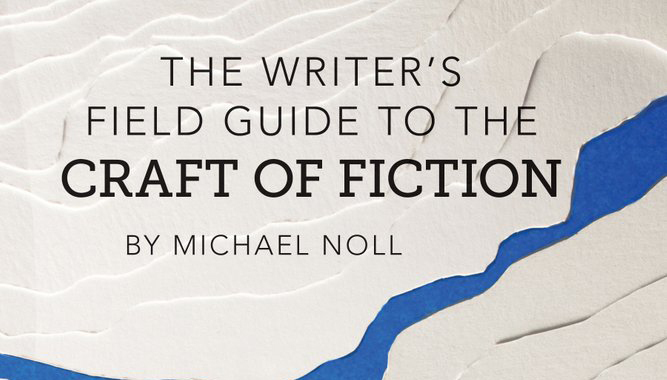 My book, The Writer’s Field Guide to the Craft of Fiction, takes one-page excerpts from some pretty great stories and novels and figures out how to borrow strategies from them. It’s something I’ve gotten good at—learning how to write from others—and sometimes people ask how I’m able to see the strategies so clearly in others’ work. I give them the short answer: a lot of reading and practice. The long answer, of course, is that pretty much my entire self is a collection of strategies for how-to-be that I’ve borrowed and tried to make my own. Writing is just one more thing, like how to eat spaghetti, that I have no innate sense for and so must learn through close observation of others. I don’t actually eat long-noodled pasta in public. That one’s still a work-in-progress. Michael Noll is the editor of Read to Write Stories and Program Director at the Writers’ League of Texas. His short stories have been published in American Short Fiction, Chattahoochee Review, Ellery Queen Mystery Magazine, Indiana Review, and The New Territory, and been nominated for New Stories from the Midwest. His story, “The Tank Yard” was included in the 2016 Best American Mystery Stories anthology. He lives in Austin, Texas, with his family. Find him on Twitter at @readwritestory.